Curtiss-Wright Nuclear supplies safety-related and environmentally qualified electrical interconnection products, known under the brand name EGS. 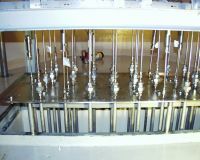 Manufactured in Huntsville, Alabama, all EGS electrical devices are qualified by test for the harshest conditions, inside and outside containment areas, in PWR, BWR, and CANDU reactors. 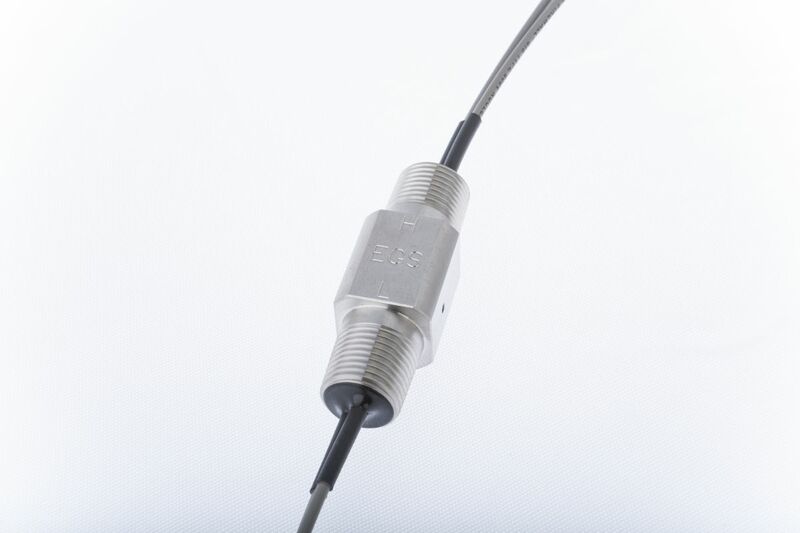 EGS is comprised of a broad range of products, from Class-1E compact splices up to reactor cable assemblies, and has become internationally known as a world leader in the supply of safety-related connection devices. All EGS products are manufactured in accordance with ANSI N45.2, 10CFR50 Appendix B, and 10CFR21, in addition to being NQA-1, NUPIC, and NIAC audited. 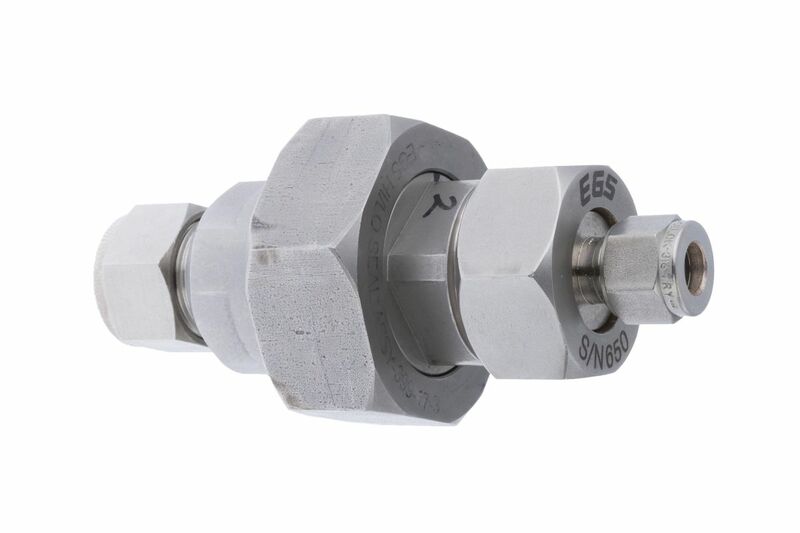 The EGS Conduit Seal is a lightweight, easy-to-install design that prevents moisture and liquids from penetrating instrument housings or junction boxes from attaching conduits. 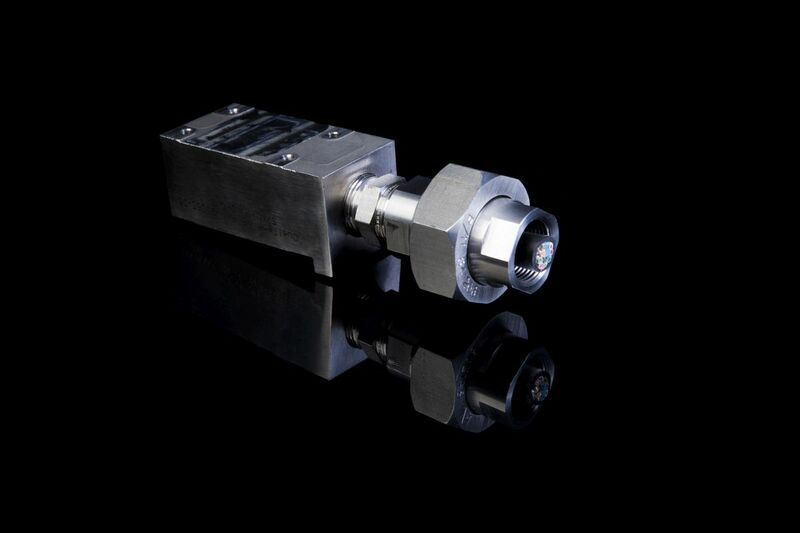 Its anatomy consists of two stainless steel housings that are assembled with a hex nut. The housings contain a grommet. The wires are fed through the grommet’s specially sized holes. 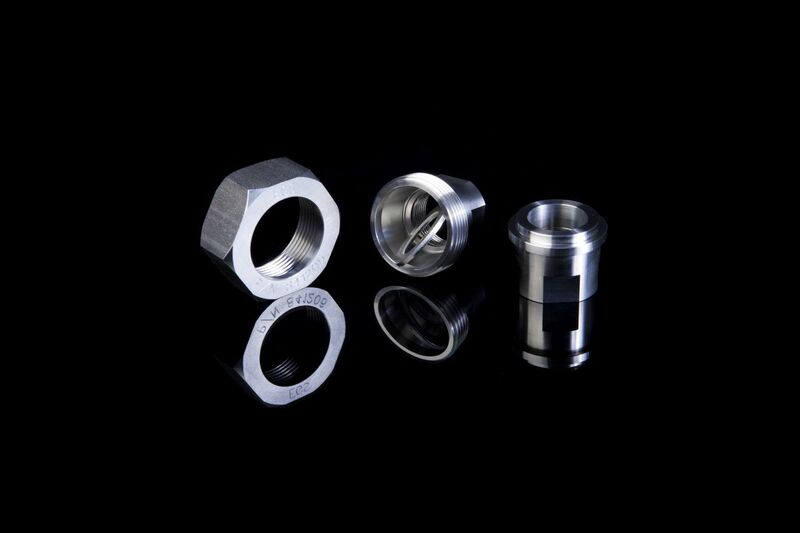 The housings are tightened using the hex nut, which compresses the grommet and creates the seal. Small and lightweight, less than 1 lb. 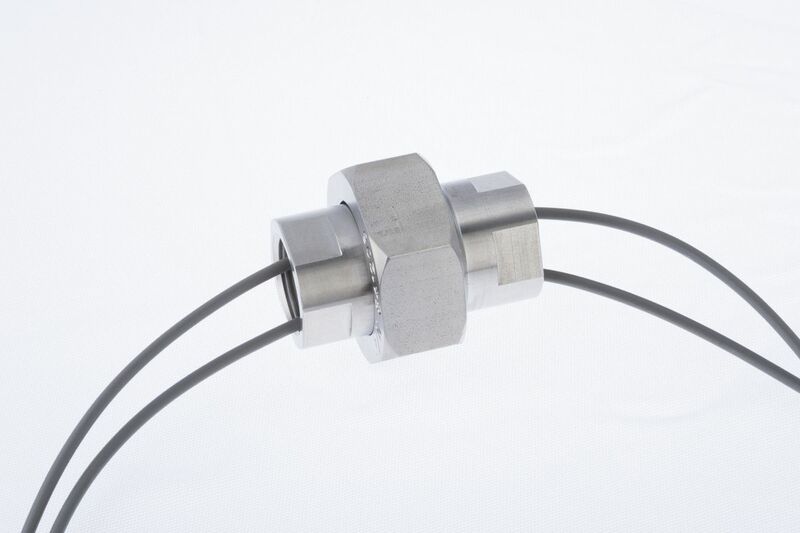 The EGS Electrical Conduit Seal (ECSA) is a lightweight, multi-conductor interface that provides a pressure boundary to prevent the passage of moisture and liquids from the conduit into instrument housings or junction boxes. It is a factory assembled conduit seal consisting of a stainless steel housing with integral feed through wiring and epoxy sealant. The ECSA is a passive device with no moving parts. Used on a variety of devices such as RTDs, solenoid valves, TCs, transmitters, MOVs, pressure/limit/level/position switches, etc. 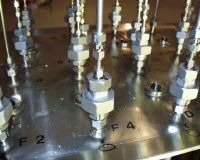 A new idea for sealing of in-core instrumentation thimble tubes. 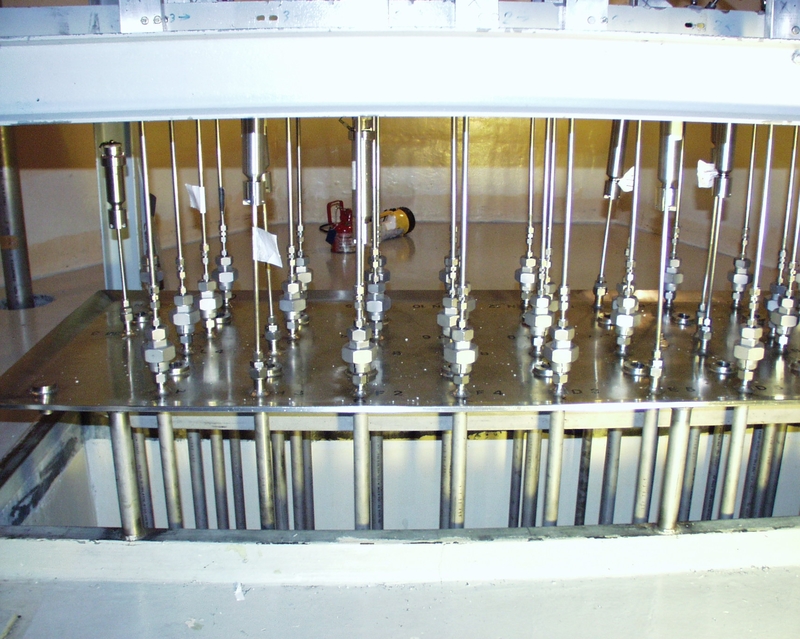 Curtiss-Wright Nuclear’s qualified EGS product line includes an innovative combination Hi/Lo Pressure Seal for seal table use on Westinghouse PWRs. 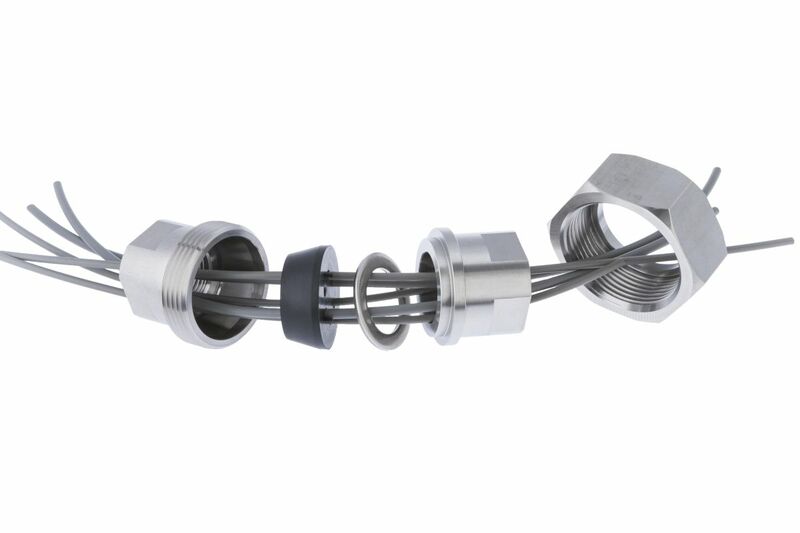 The Hi/Lo Pressure Seal also functions in the low-pressure mode, with no added configuration. The new seal permits thimbles to be withdrawn by simply removing a 1.5-inch union nut and loosening a 2.0-inch union nut. Tightening the 2.0-inch nut after thimble withdrawal maintains the low-pressure seal and secures the thimble in place. After refueling, the process is reversed and the two unions are tightened to specific torque values. The Hi/Lo Pressure Seal will reduce radiation exposure, labor costs, maintenance expenditures, and outage time. 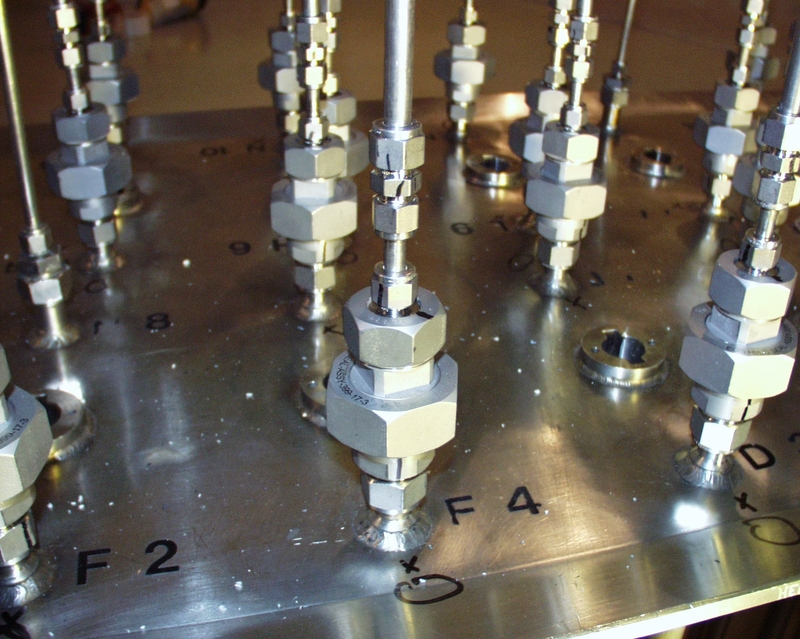 The Hi/Lo Seal can be customized to fit any configuration.